A highly therapeutic style massage using our own banana scented natural massage oil, combining long firm strokes to stimulate circulation and reduce muscle tensions to create feeling of total relaxation. 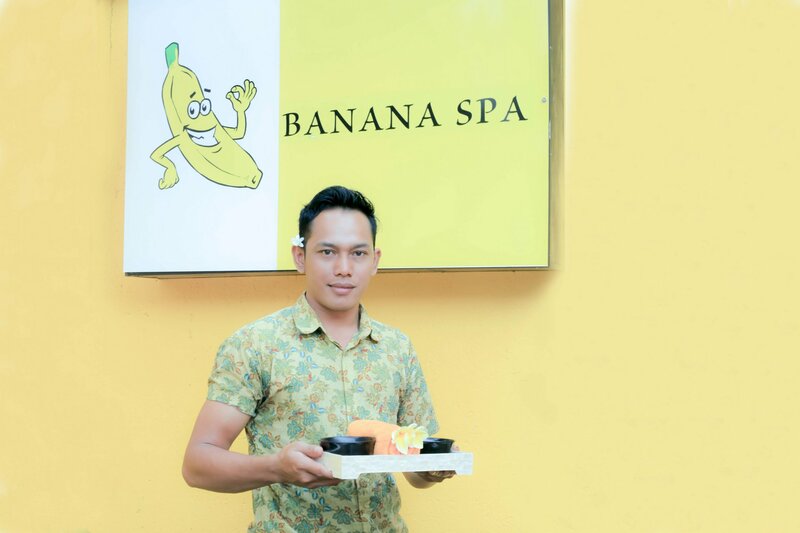 A highly therapeutic style massage using our own banana scented natural massage cream, combining long firm strokes to stimulate circulation and reduce muscle tensions to create feeling of total relaxation. A truly pleasurable full body scrub which cleans and exfoliates your skin, making you look and feel totally refreshed. A must have at least once in your lifetime four magic hands therapeutic style massage performed by not one but two male therapists using your choice of banana scented natural massage oil or banana infused massage cream. Its stimulate circulation and reduce muscle tensions to create feeling of total well being and relaxation. This complete stress relieving massage starts with your private therapist performing on you a full body massage, combining: long firm strokes to stimulate circulation and reduce muscle tension, and relive any pressure points. Finishing up with truly pleasurable which cleans and exfoliates your skin, making you look and feel totally refreshed.